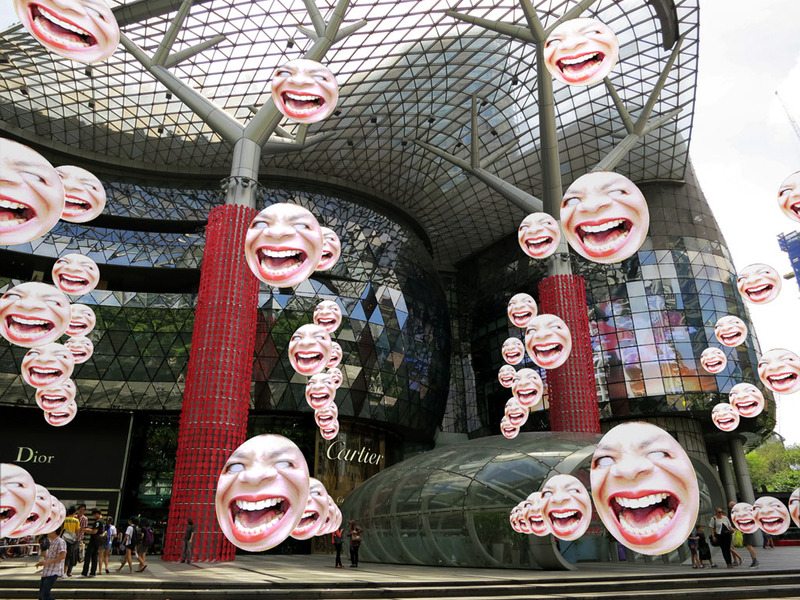 Three of my works are being shown in the "WINDOW ZOOS AND VIEWS" augmented reality public art exhibit as part of DAW Singapore. Go to the WINDOW ZOOS AND VIEWS website for instructions and to download the "Tour Guide." My works will remain in place after the event is over. 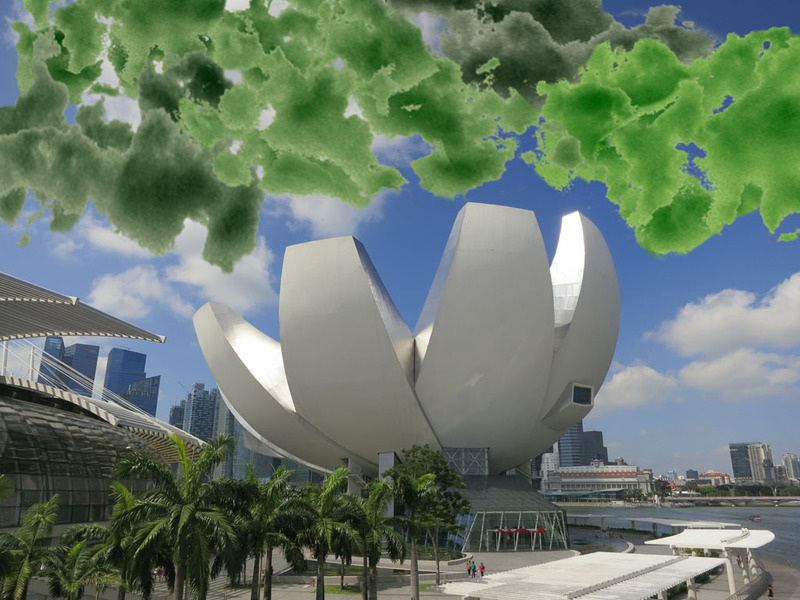 For DAW Singapore I created a composite of several of the clouds, and floated it above the ARtScience Museum. On an iPad as you look at each cloud a pop-up label tells you which company generated which cloud, and what percent of their energy comes from renewable sources. 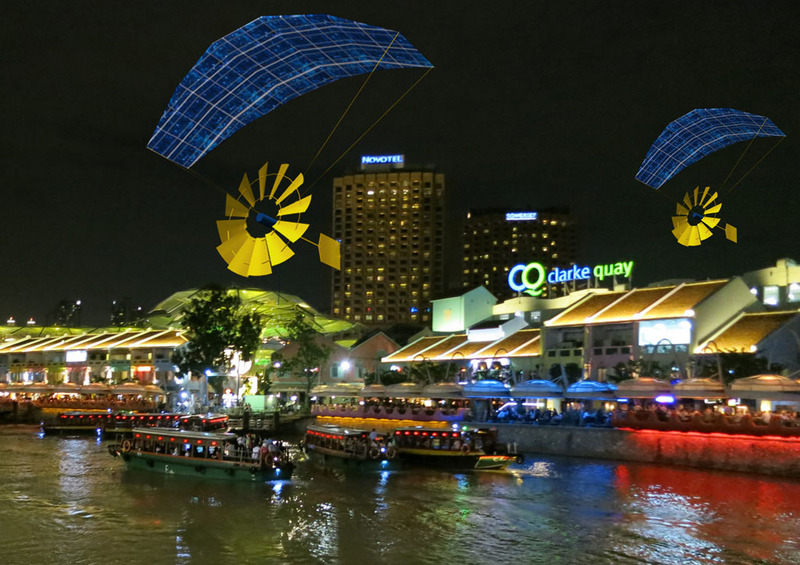 Flying Windmills was developed for the exhibit "Transformation: Lehel," produced by pilotraum01 e.V. as part of "overtures ZeitRäume," curators Serafine Lindemann (artcircolo) and Christian Schoen (kunst | konzepte).